Role Playing Games have surged in popularity in the past couple of years. If someone in your life shows a leaning towards imagination, creativity, or storytelling, an introduction to the world of role-playing games might be in order. In the past few years I’ve mentioned a few in the annual Unplugged guide, but the resurgence of the hobby deserves its own list this year. If you’re thinking about adding a role-playing game to your holiday gifts or activities, here are a few examples and ideas spanning a wide variety of types and recommended ages. Happy Holidays! Boardgaming has had a serious upsurge in the past few years, and there’s no better time to get into the hobby than an extended holiday break. As we at GamerDad have done for the past 15+ years, it’s time for an annual rundown of recent boardgames well worth your time. Nothing beats the social aspect of in-person gaming with friends. Last year’s run-down is a great list of recommended games. Here again are some great examples of boardgames to get you and your family gaming. You might not find all these titles at your local mega-mart but many can be found online or in a friendly local game store. Some may argue $50+ boardgames are expensive, but compare that to videogaming (and where multiple copies are required for multiplayer play) or heading out to the movies ($30+ for four people) and the economics of boardgaming shows their true value. Good boardgames are timeless, just as good today as they will be years in the future. They will provide many more hours of entertainment than most video games. In that vein, feel free to delve into some past year’s guides for 2016 , 2015 , 2014 , 2013 , or 2012 . For each game I’ve provided the number of players, an approximate MSRP (you might find it lower), and expected time for one game. 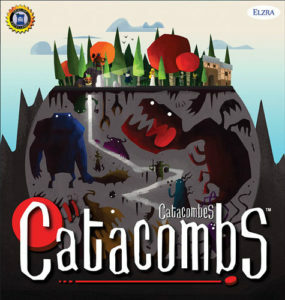 Catacombs takes the basic idea of flicking wooden discs around a game board and transforms it into a competitive role playing game of players vs a game master. Played over a series of boards, players journey into a dungeon in hopes of becoming powerful enough to beat the final boss in the game. A fun mix of disc-flicking, tactics, and a fantasy theme create a very unique, and enjoyable, boardgame. The newest edition (with fancy new rubber playmats rather than cardboard) is currently finishing up a Kickstarter campaign. Arguably the best-selling modern boardgame is Ticket to Ride and its sequels. Players collect sets of train cards (like sets in Rummy), and use them to occupy routes on a game board map of the United States. Players earn points for placing large sets of trains as well as bonus points for managing to connect cities shown on their personal “ticket” cards. Many versions have been released which change the map (Europe, Asia, the UK, etc…) and each add in some small twist to make the version unique. 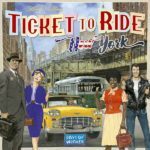 Ticket to Ride: New York is the newest release and it takes most of what is best about the game and distills it down to a small box game, playable in less than 20 minutes (closer to 30-45 minutes if playing with new players.) While the “large box” games tend to allow more long-term grand strategy, New York serves as both a great introduction to the game and a fully playable version when you have less than an hour to spare. The Legacy of Dragonholt boardgame is essentially a tricked out choose your own adventure. Allowing freeform character generation and spanning multiple volumes, it is more than a simple book. However, despite its boardgame sized box, but it is not a traditional boardgame. If that sounds interesting to you, Legacy of Dragonholt is a great choose-your-own adventure experience with strong role-playing game flavor. 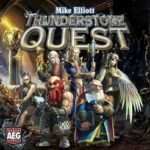 The fantasy-themed deckbuilder, Thunderstone, has reappeared with some minor improvements and the option of (mildly) story-based campaign play in the form of Thunderstone Quest. Initially launched as a Kickstarter, a second Kickstarter has just begun with previous and new offerings. As with other deckbuilders, Thunderstone has players purchase cards from a central tableau to improve their starting deck of cards, but it also introduces an area for players to use their cards to defeat monsters for additional points. Thunderstone Quest is the third version of the game, polishing up a few rough edges and introducing a story-based campaign mode to link a series of games together. Memory based games are a great equalizer between young and old. Memoarr! starts out like most, with a grid of upside down cards. However, rather than matching pairs of cards, players attempt to create a chain of cards, with each card matching the landscape or animal of the previous one. The result is a memory matching game with just enough spin to mark it different from the others. It becomes more unique when using the advanced rules which has the cards triggering special actions based on the animal on the revealed card. 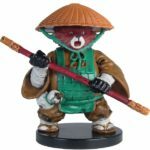 WizKids recent Wardlings release is a great line of kid-themed pre-painted miniatures. Each kid-model mini comes with an associated “pet” to add a bit of playfulness to any RPG session. 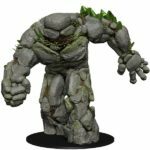 WizKids other mini lines (D&D Icons of the Realms and Pathfinder Battles) keep on truckin’ with a couple jungle themed releases and one that fits in with D&D’s most recent adventure book. While minis aren’t cheap, they can add a bit of flash and excitement to any game night.